Speaking of her experience upon winning the overall title at the 2018 Awards, Alys Tomlinson said: “Being named Photographer of the Year means a huge amount to me. It's wonderful to be recognised for what I do, for what I am so committed and passionate about. Having worked on the 'Ex-Voto' series for five years, winning this Award has opened up and emphasised the centrality of pilgrimage to us all." Photographers worldwide are invited to submit to the Awards’ four competitions: Professional, outstanding bodies of work between 5-10 images across ten categories; Open,rewarding the world’s best single images across ten categories, Youth, a single brief for emerging talent aged 12-19, and Student, for photography students across the globe. The National Awards program will also reward local photographic talent. 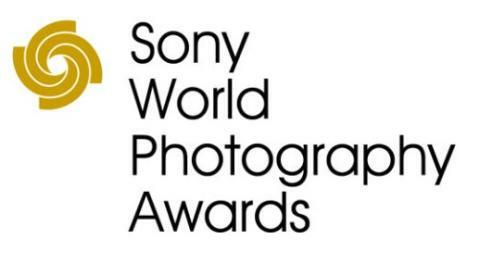 New images from the recipients of the 2017 Sony Grants - Frederik Buyckx, George Mayer, Yuan Peng and Will Burrard-Lucas alongside students Sarah Schrimpf, Tatsuki Katayama and Shravya Kag - are available at www.worldphoto.org/press. New for this year, partners will support two categories in the 2019 Awards’ Open competition. Culture Trip is partnered with the Culture category, while Eurostar is partnered with the Travel category. Culture Trip is a startup that inspires people to explore the world’s culture and creativity through innovative technology and a global network of local content creators. Eurostar is the ideal way to travel between London and mainland Europe, offering a seamless city-centre to city-centre journey, quick and convenient check-in and a generous baggage allowance. As the Sony World Photography Awards travel between destinations including London, Paris and Brussels, Eurostar is the effortless way to get there.